Every detail in the design of Rock Tour is aimed at what it takes to meet the demands of today’s young rock drummer. The Big Leaf mahogany shells have the tone and projection they need, and the finishes have an edgy look to complement their style. We made no compromise to Yamaha’s legendary quality and attention to detail so that Rock Tour can stand up to the rigors of a busy touring schedule and still provide unmatched tone when you put them under the microscope of the recording studio. Yamaha is commitment to creating fine musical instruments, while being careful to preserve our valuable natural resources, continues with Rock Tour. The Big Leaf mahogany begins as seed from South America and is planted in managed forests in Indonesia. This resource is carefully managed and reforested to help preserve our environment. Rock Tour features 9-ply shells of Big Leaf Mahogany (Textured Ash are 6-ply mahogany, 2-ply ash). The mahogany for Rock Tour is a South American species that is grown in a reforested, managed forest as a renewable resource. 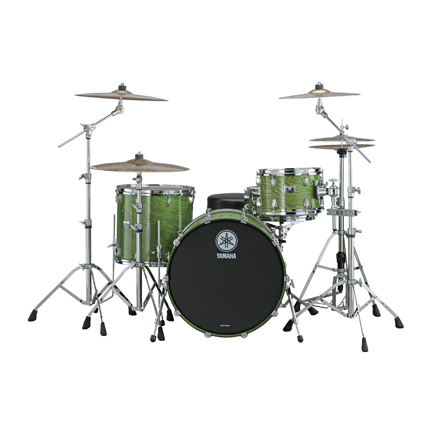 Rock Tour shells have a low fundamental, and a warm musical tone while maintaining a strong attack and great projection. Rock Tour is available in the US in 5 finishes: Matte Metallic Silver, Matte Metallic Black with matte silver lugs and hoops as well as Textured Green, Textured Red Sunburst, Textured Smoke Sunburst with chrome hoops and lugs. Toms are fitted with YESS tom mounts for increased sustain, and vertical mounted floor tom brackets for added stability under extreme playing situations. 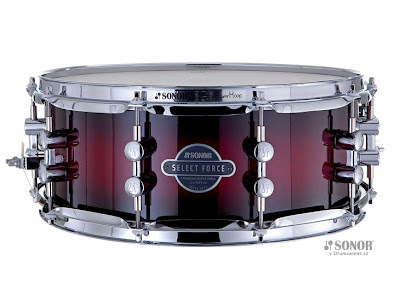 Rock Tour bass drums are virgin (no mount) ten-lug design. Bass drum claws have rubber inserts to protect the hoops and prevent rattle at low head tension. Rock Tour toms and floor toms ship with Remo Pinstripes© for durability and ease of tuning. The badge and bass drum resonant head features a new logo with an edgy, modern look. SF12A, 12-inch active full range speaker features a dedicated 2-band EQ for perfect sound adjustment and the studio-quality microphone preamp ensures excellent vocal sound. Built-in protection circuitry protects the power amplifier and speaker drivers to ensure dependability. 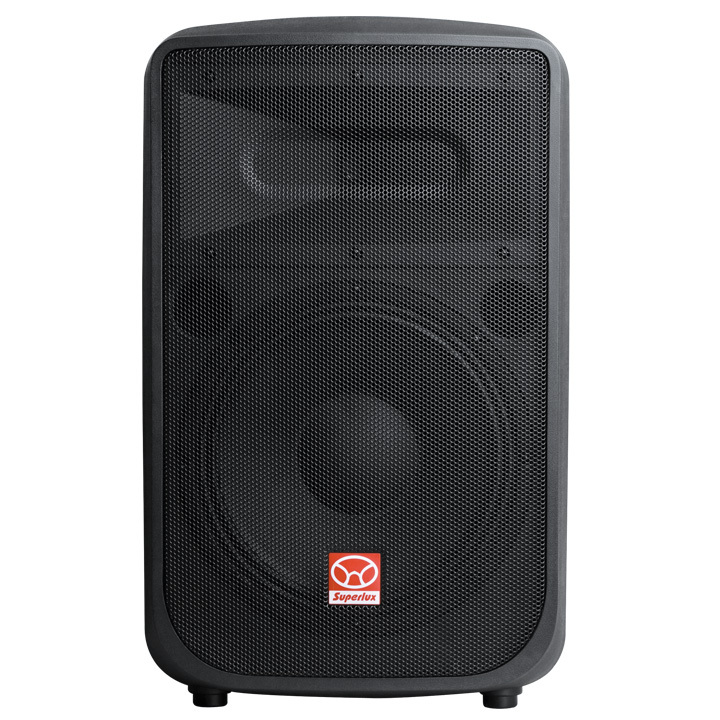 The SF12A is also suitable for side-ﬁll or ﬂoor monitor applications. It is pole mountable, ﬂoor wedge-able, stackable and wall mountable, making the SF12A perfect for portable sound system or installation applications. The SF12A was created to satisfy professionals' requirements, whether used in disco pubs, small/medium concerts, lectures or presentations. The SONOR Smart Force Series – designed especially for beginners at an uncompromisingly attractive price. 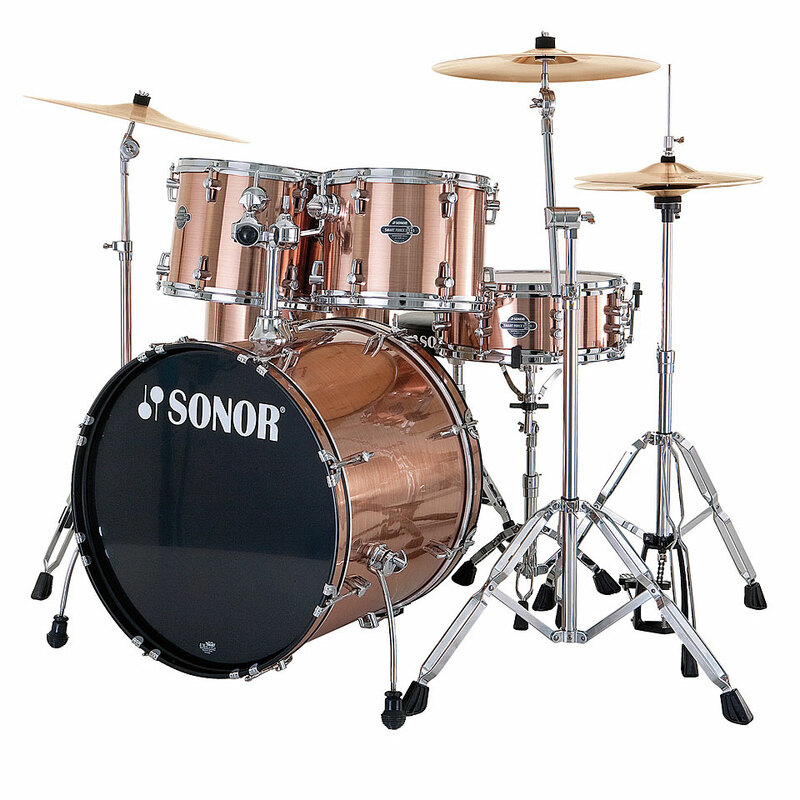 Extremely interesting for all up-and-coming rockers, jazz cats, enthusiasts of metal or the blues … or any drummer who’s looking for a drum set that is sturdy, yet versatile. 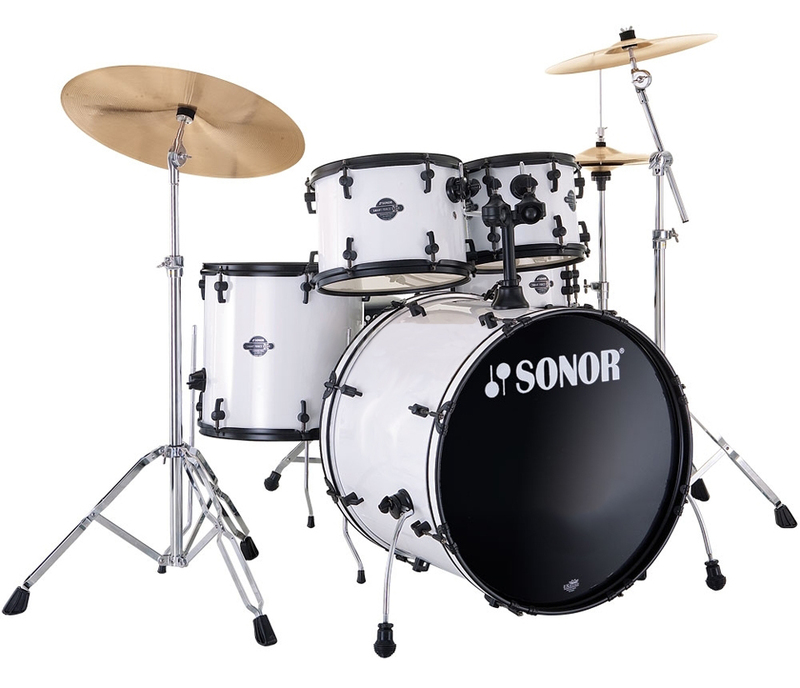 The 9-layer poplar shells of the SONOR Smart Force Sets are full bodied, providing balanced sound with lots of power up front. The poplar shells deliver maximum strength, perfect curving, and ­neutral ­tuning thanks to tension-free cross-lamination of the individual layers of wood (CLTF Cross Laminated Tension Free Process). The covered finish is very sturdy and long lasting, and the workmanship is impeccable. Acoustic drum kit Smart Force series, includes Bass Drum 22"x17.5", Tom 12"x9", Tom 13"x10", Floor Tom 16"x16", Snare 14 "x5.5" (wood), made from 9-ply poplar 7.2mm thick, coated film, TuneSafe tuning screws, chrome rims, and ball joints, 200 Series hardware includes pedal, stands for, Hi-Hat, Snare.